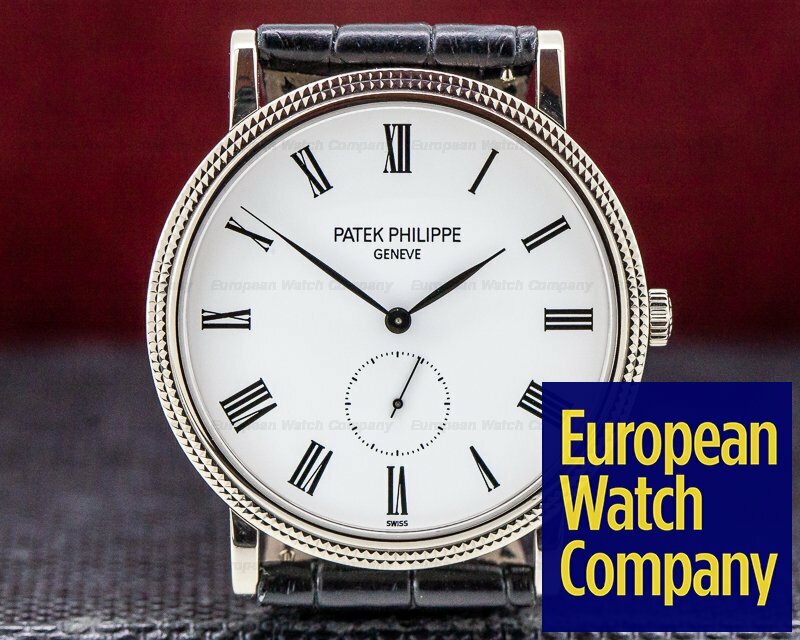 30593 Patek Philippe 5119 G Calatrava, 5119G-001, 5119G, 18k white gold on a strap with an 18k white gold tang buckle, manual wind caliber 215 PS movement, white lacquered dial with black roman numerals, small seconds, diameter: 36mm, thickness: 7.2mm, hobnail bezel, sapphire crystal, water resistant to 2.5 atm, display back, Like New with original box and and papers, dated August of 2010. 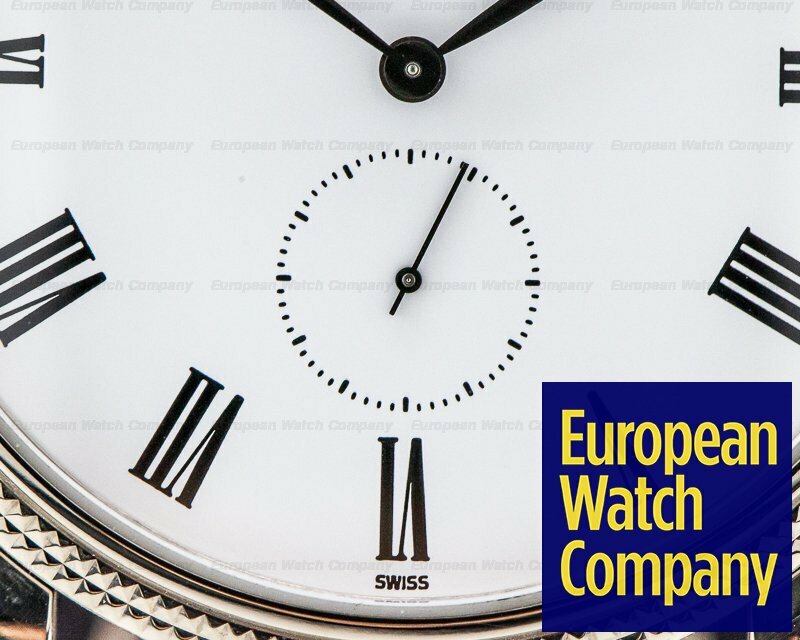 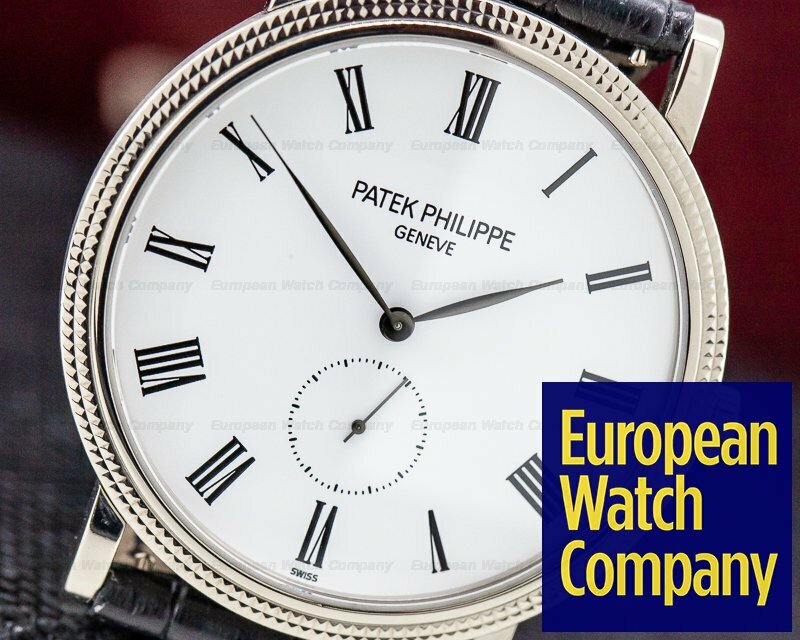 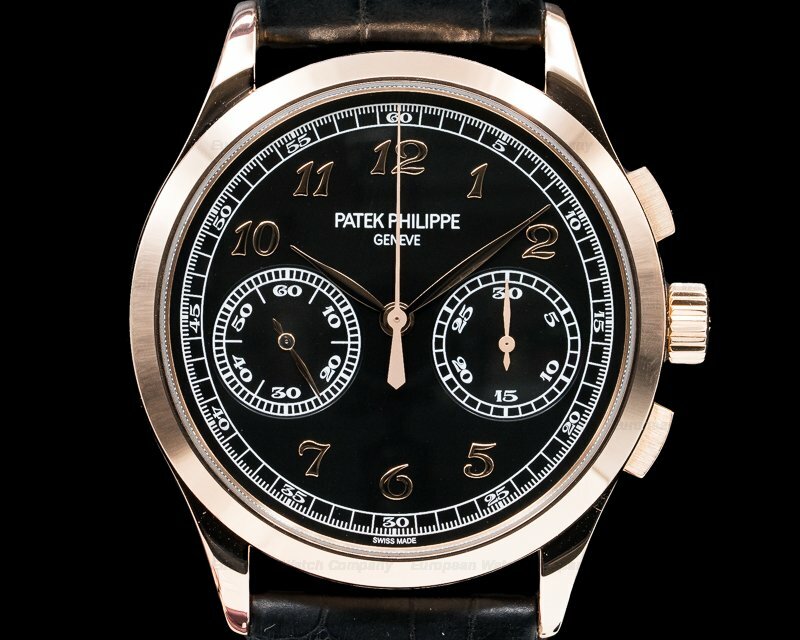 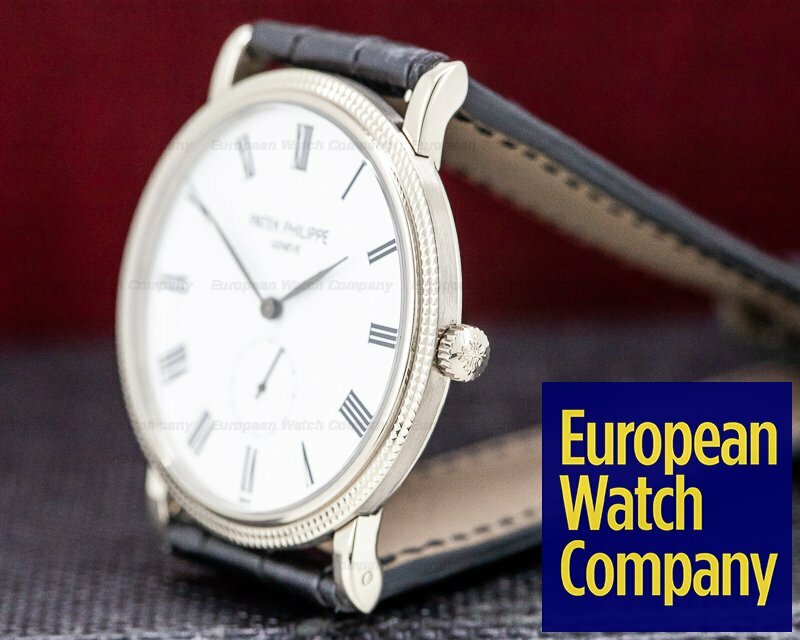 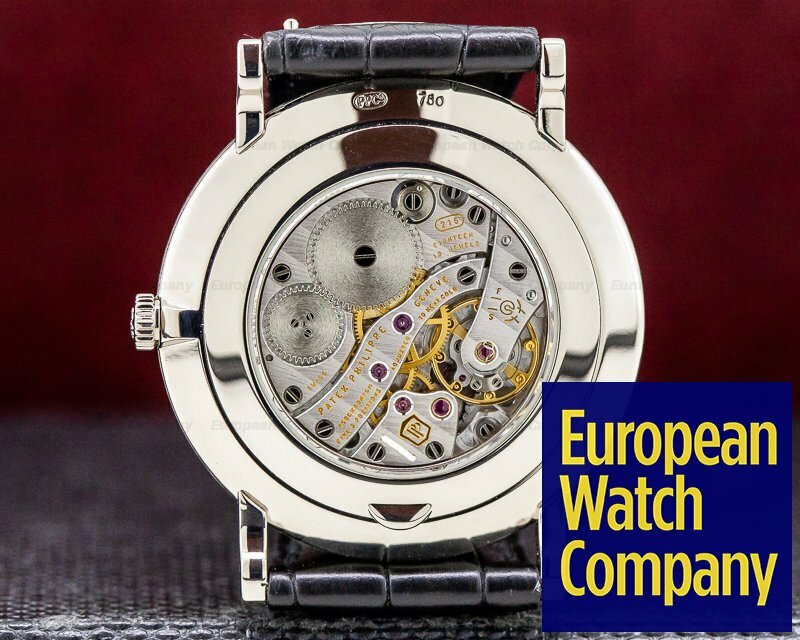 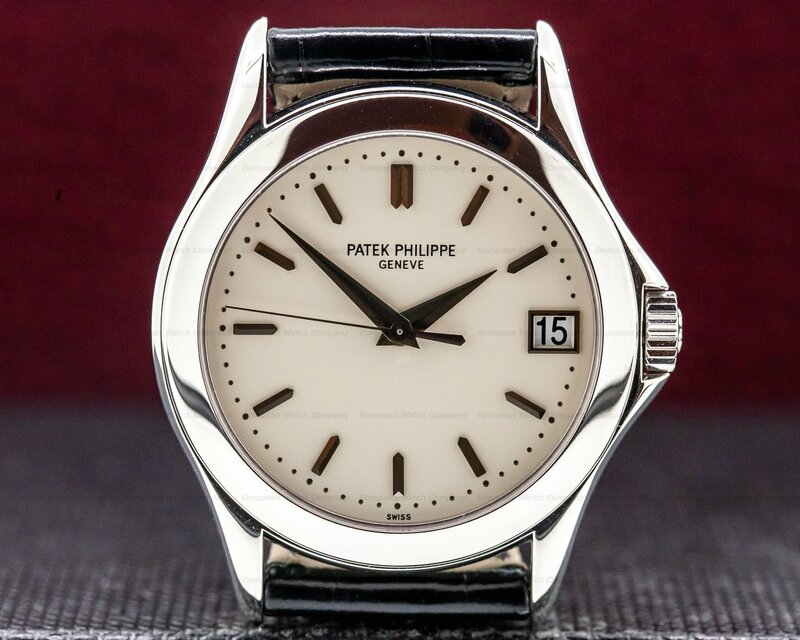 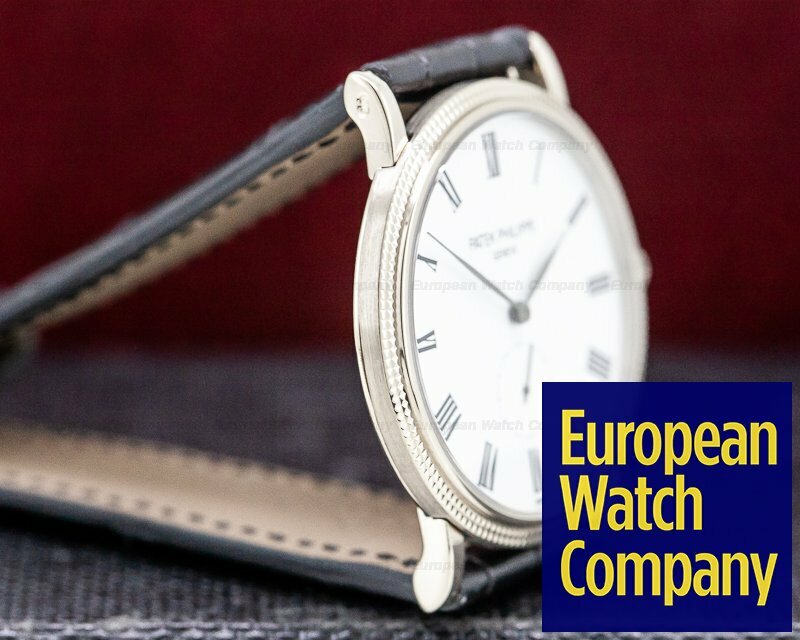 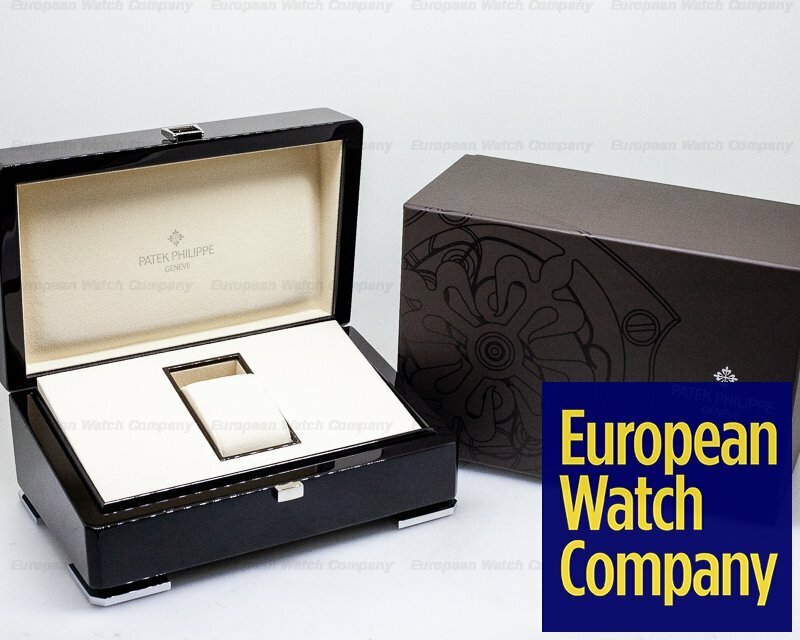 This is an 18K white gold Patek Philippe Calatrava 5119G-001. 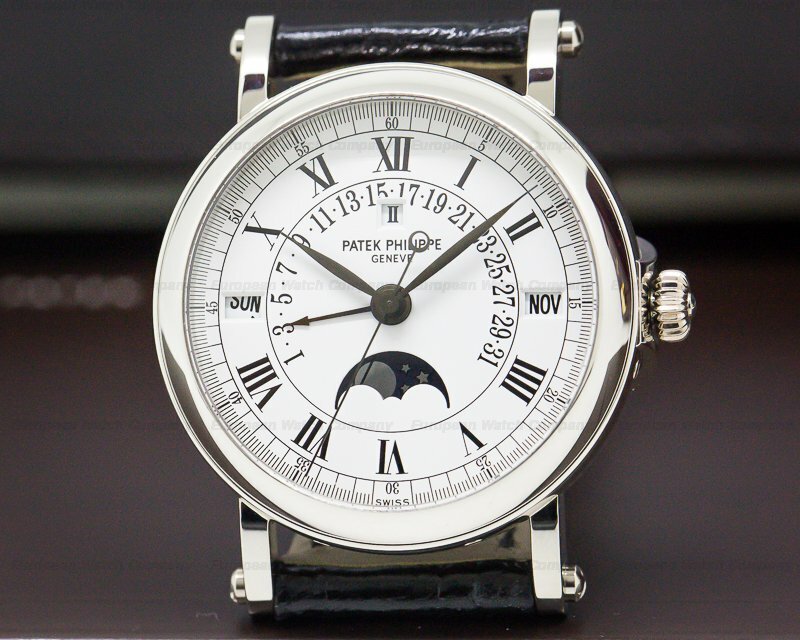 It has the traditional double-rowed hobnail bezel and a white lacquered dial with black hands and Roman numerals. 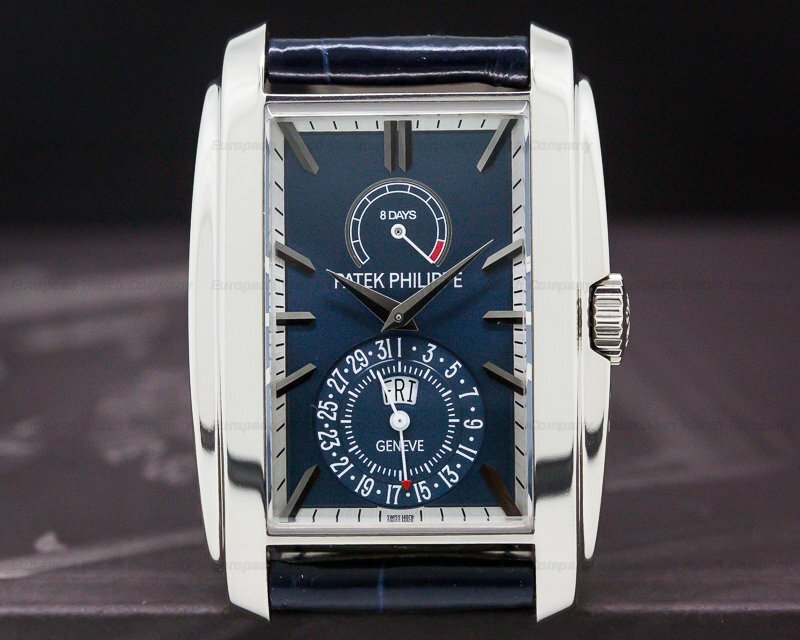 There is a small seconds subdial at 6 o'clock and the transparent case back has a sapphire crystal. 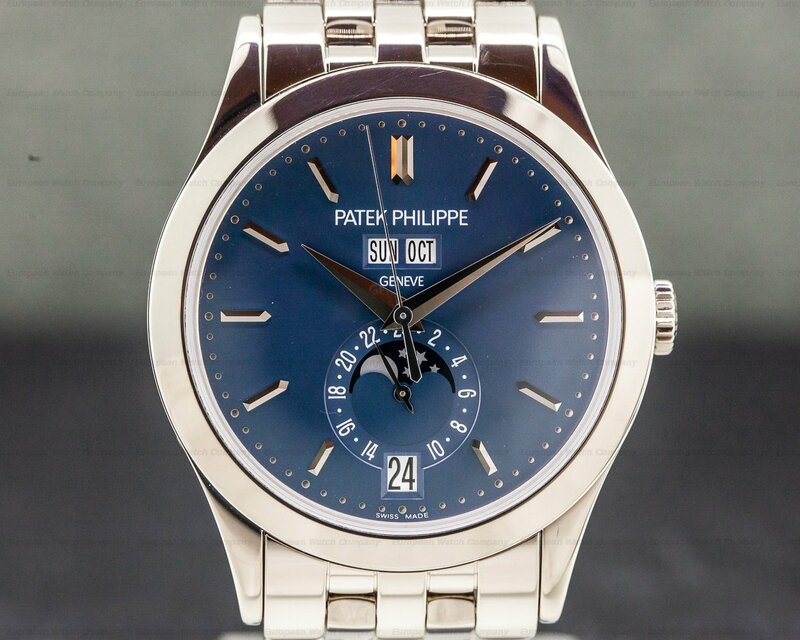 It's water resistant to 30 m., and the black alligator strap has a matching 18K white gold tang buckle. 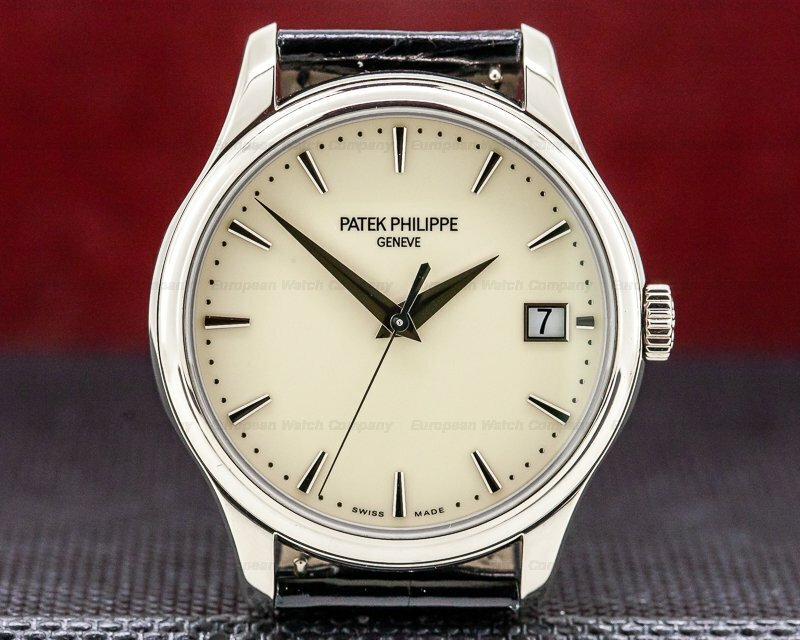 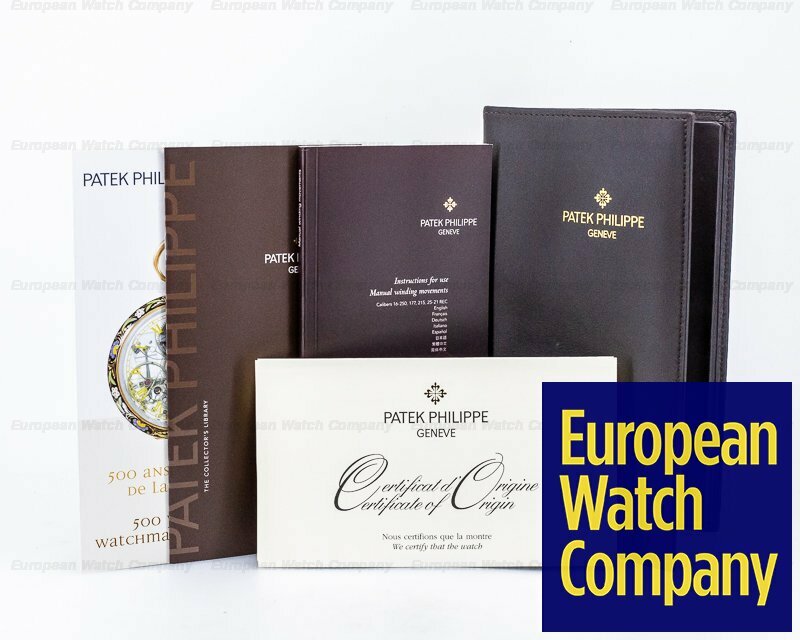 This Patek Philippe Calatrava 5119G-001 has a mechanical Manual Winding Caliber 215 PS Movement that's rhodium-plated with fausses cotes embellishment, and it's stamped with the Patek Philippe seal. 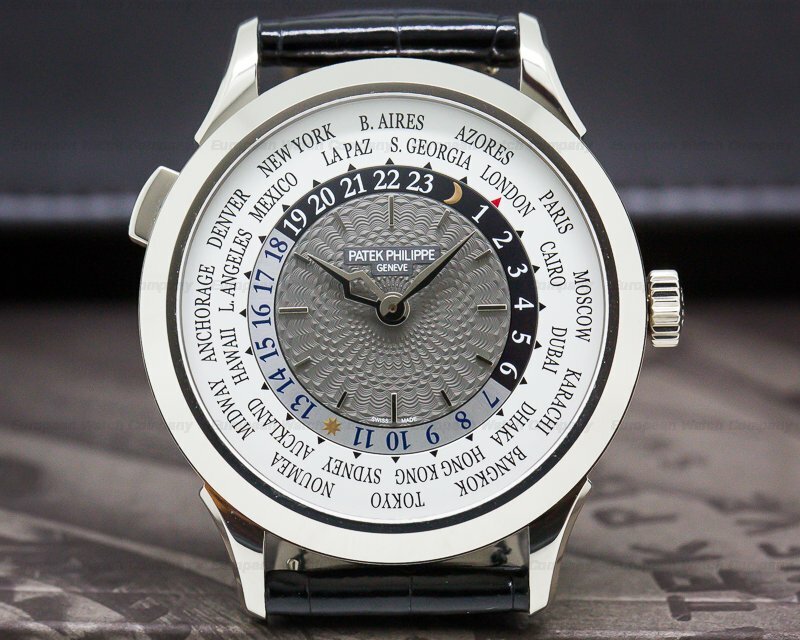 It is constructed with 18 jewels, 130 parts, and a self-compensating flat balance spring. 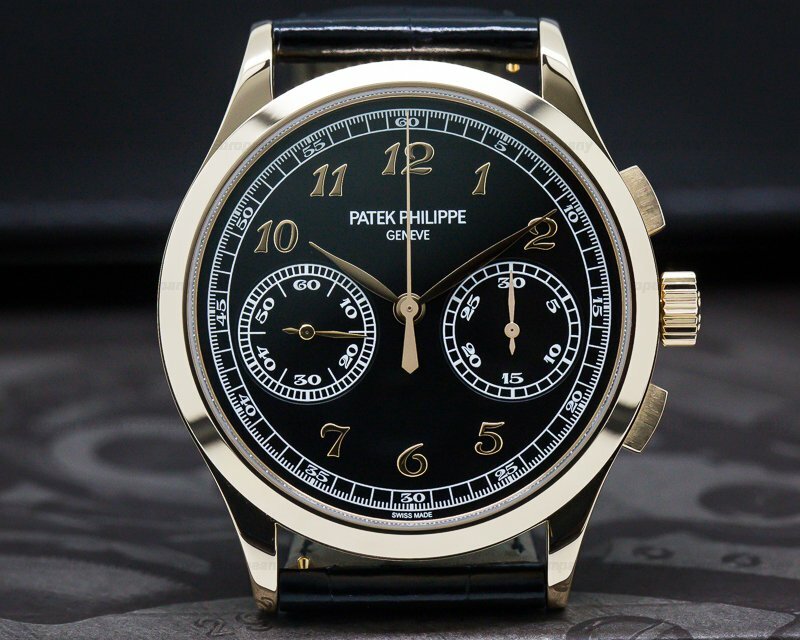 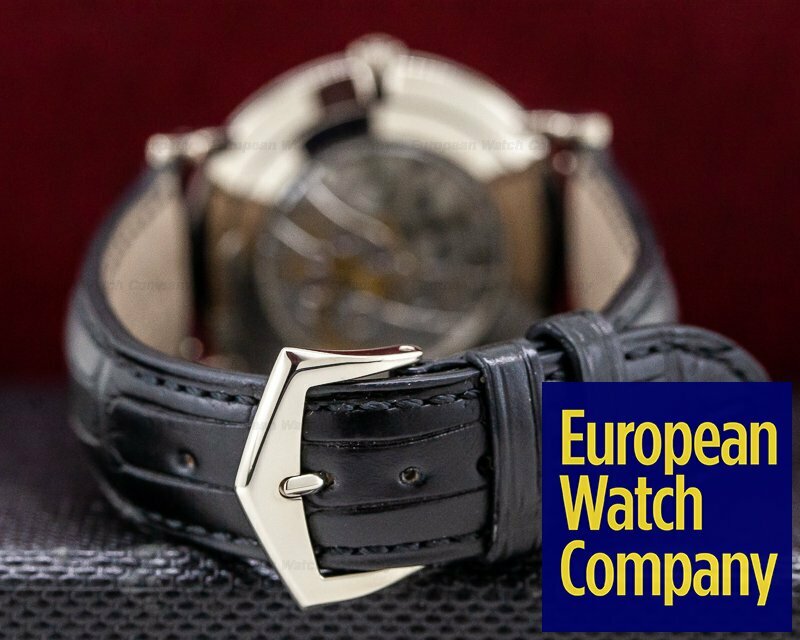 It has a shock absorber as well as the patented Patek Gyromax balance adjusted to cold, heat, isochronism, and five positions. 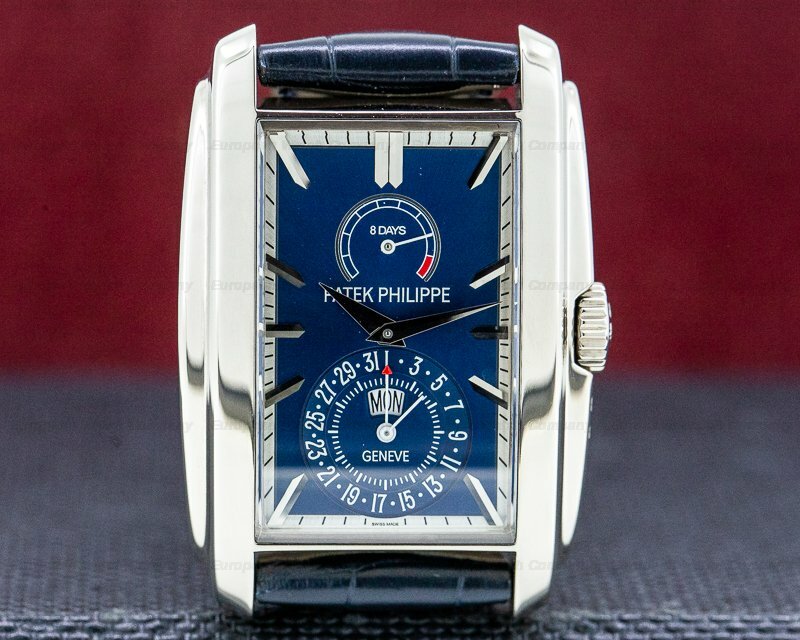 The mechanism oscillates at 28,800 vph (4 Hz), and there is a 44-hour power reserve.